Art Office was an art consultancy established and led by Isabel Vasseur that grew out of her activities in promoting, advising about and commissioning contemporary art during the early 1980s. The consultancy operated in various guises for more than twenty years. It has now closed its doors. This website has been created to give researchers a brief account of the type of public art projects that were commissioned during a highly productive period between 1988 and 2008 and to direct those seeking more in-depth knowledge about commissioning art in the public realm toward Isabel’s complete paper archive held at the Henry Moore Foundation. The consultancy was established by Isabel Vasseur in response to the changes in artistic practice, which during the 80s became much more diverse and complex in nature. Artists’ ambitions were gravitating away from traditions of painting and sculpture, toward site specific installation, performance, film and video and other disciplines. This creative diversification coincided with cultural producers waking up to the possibility that the visual arts could be an effective engine driving social change. 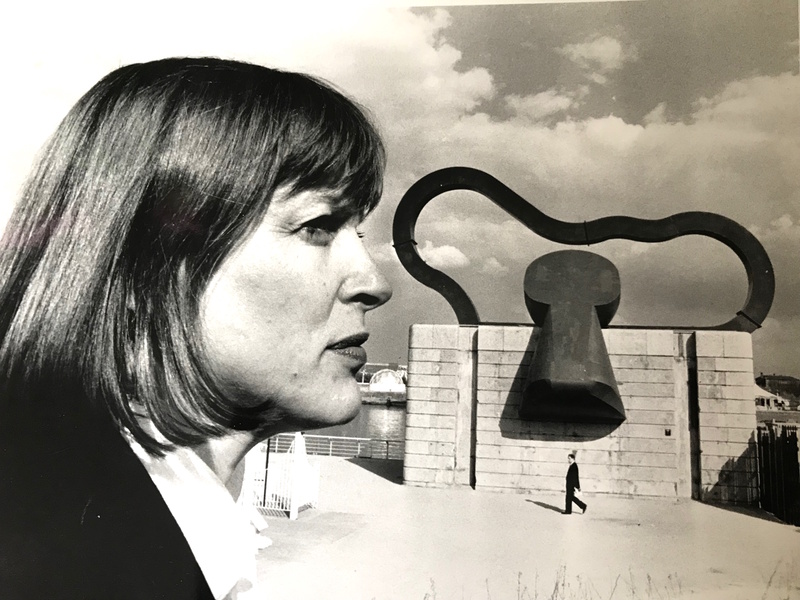 Isabel Vasseur’s Art Office archive is currently being prepared by the Henry Moore Foundation, for public access research purposes, in line with the Henry Moore Foundation’s commitment to the study and enjoyment of contemporary art, particularly sculpture in the public realm. The claims made for public art provision were subject to heated discussion at the time. It is a topic that still has fierce advocates for and against, even now. However, what seems indisputable with the benefit of hindsight is that the role art was to play in rehabilitating areas of former industrial cities within the UK changed. Contemporary art was introduced to enliven under-invested in urban environments. Its inclusion helped shape new developments and introduced a role for public art that broke with tradition. Dark, bronze statues raised on plinths well above head height, gave way to art commissions designed to engage audiences who otherwise would not have come into contact with art. These more complex and ambitious public commissions required a different approach from arts professionals too. Initially as Art Project Management and subsequently as Art Office, Isabel created the perfect vehicle with the necessary flexibility to bring in different curatorial talents for each project. Isabel was an early pioneer in adopting a more professional level of working with artists and attracting public sector funding, being more accountable to commissioning public art for a variety of contexts and circumstances and attracting new audiences. Isabel was not the only art consultant working on public art projects throughout the UK at the time, but for a while she was one of the select few. There were only a small number of competing entities working in this field of activity. The three leading examples were established and run by women. A rare example of where the art world was ahead of the pack in terms of equality. There are many more agencies today, although these, like Future City tend to work across many different disciplines internationally and in many contexts. Public art is only one element of what they do, which is now termed slightly awkwardly as ‘place making’. The Public Art Development Trust (PADT) was a charity, established in 1983, that was a much needed advocate for preserving existing public art, as well as procuring examples of contemporary art for a variety of locations, both publicly owned and private. They commissioned mid-career artists, as well as younger artists for ambitious developments like London’s Paddington Basin. Unfortunately they ceased operation in 1995. The PADT archive is also available for research at the Henry Moore Foundation. Art & Architecture was an initiative overseen by Jes Fernie that commissioned art in relation to contemporary architectural developments, as well as competition based schemes like the Fourth Plinth Project in Trafalgar Square. While Art & Architecture ran its course in the mid 90s, Jes Fernie is still advising about art in a public context, having worked on commissioning the art content for the Olympic Park between 2009 and 2011. Inhabiting similar territory to Art Office, Vivien Lovell and her consultancy worked on public art commissions, particularly in London during the 80s. The consultancy came together as a team of specialists, led by Vivien to become Modus Operandi (MO) in the late 90s. MO worked along side Isabel’s Art Office on commissions at the BBC. When the BBC Media City art programme was delivered by Art Office, Vivien Lovell continued to coordinate the art commissions for the redevelopment of Broadcasting House, among many other prestigious schemes. MO still works on public art schemes today.